Meet your new summer go-to meal. In an effort to recreate a dream salad that I noshed on in Austin, I whipped up this recipe for Justin and I to enjoy during nap time/al fresco today. Full of crisp summer veggies, quick cooking shrimp in an easy marinade and not so good for you but oh so delicious add ons, this salad is as simple as it is delicious. 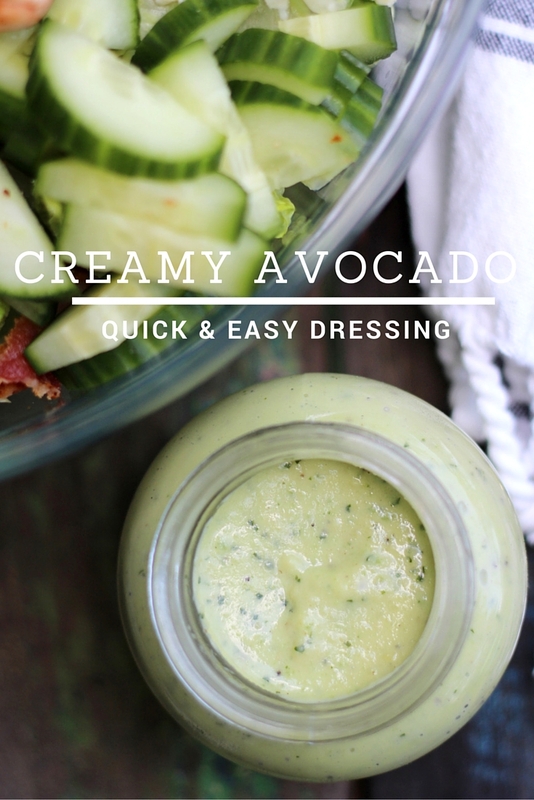 To top it off, the dressing is homemade, fresh and has a bit of zest - a perfect topping for a rich and flavorful salad. This recipe serves 4 adults but this could easily feed a crowd or a couple - and will certainly impress with it's gorgeous colors and crunch. Pair it with a chilled Sauvignon Blanc and a fresh baguette and you'll be good to go! 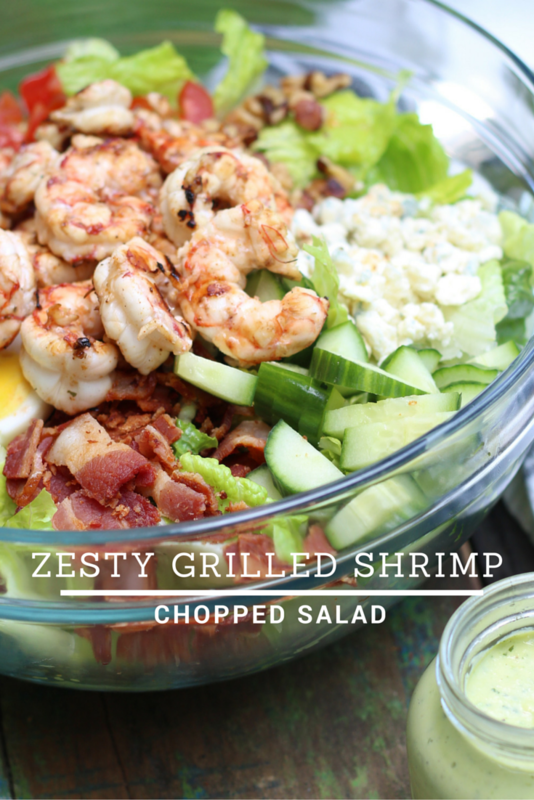 Once shrimp is grilled, place immediately in the center of the salad and serve, either with dressing drizzled on top or on the side! Combine all ingredients in food processor - blend until smooth, slowly adding water as you pulse to thin out the texture (I used maybe 1/3 cup). Yields about a cup, depending on how much water you add/thin it out. The dressing will keep in the fridge, sealed, for a week or so. Want to Pin either recipe? Go for it! Oh wow, that looks so delicious and seems easy to make! Perfect summer recipe! Oh this is totally up my alley! Yum!! Oh my lord this looks amazing.